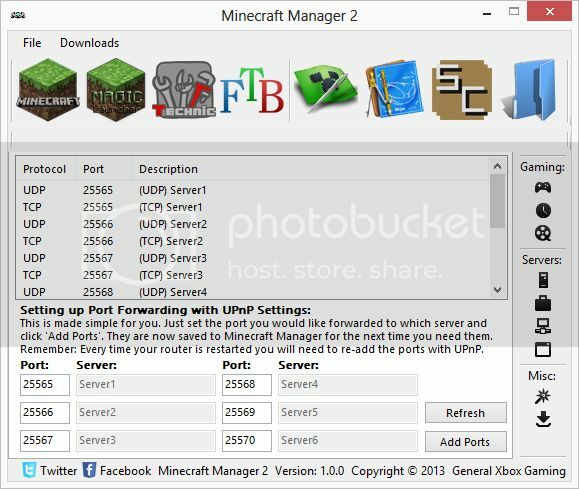 Browse servers in the Gaming Hub and connect in Minecraft Multiplayer with ease. Simply download the files from the Downloads menu and click refresh and they'll become enabled to use. 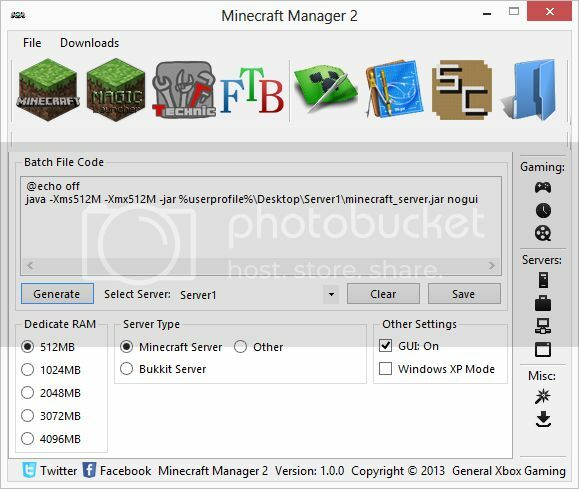 Simply click and launch the application right from Minecraft Manager, no need for everything on your desktop now as it's all saved in a folder in AppData. Manage up to 6 servers of your own server without the hassle of port forwarding with your router settings. Fetch your Local & External IP in one click! then add a port to your IP address and copy to your clipboard. Option to Password Protect all of your server folders & files (you need to set a hidden folder to hide them totally). 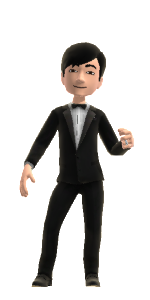 Password is encrypted with MD5 Hash Encryption and stored in your AppData folder. Custom name your servers with 15 character description. 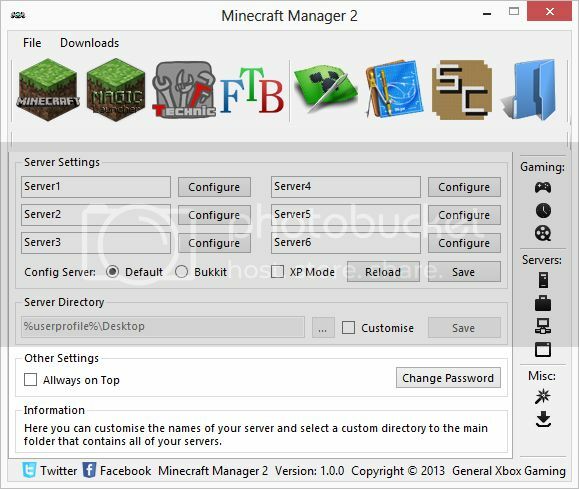 This is part of protection & organisation reason that you can set a custom directory for your main server folder that contains your 6 servers. You can manage the main files of each server inc. Properties, Ops, White-list, Banned-Players, Banned-IPs & the main .bat file used to launch your servers. Using UPnP you can port forward without the hassle of configuring your router. The option from 6 individual ports so the servers don't cancel each other out is setup ready for you to add the port forwarding if needed. The Screen Capture tool is handy for time lapse builds and can easily be setup by simply setting the directory path to the folder you want to save the image to. Then there is also options to set the intervals (in seconds) to capture a screen shot and setting for how long you wish to record for. A preview is there so you can make sure it's working first and a list of all image name's saved to file and the option to save the list. 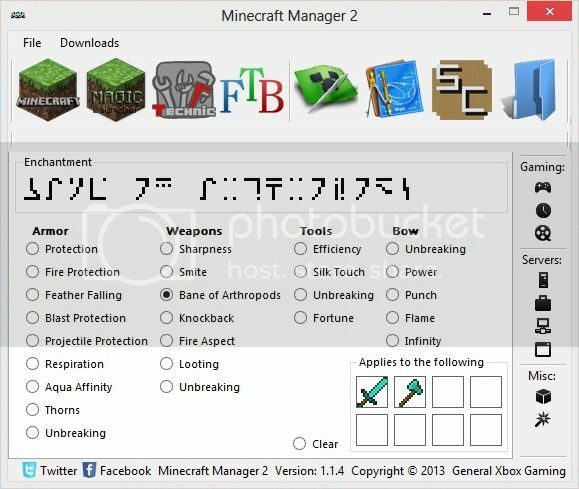 Mojang wrote there own alphabet for there enchanting update and if your like me (I don't know what's what, I'm not Minecraftian!) then your find this puzzling when equipping a good one. 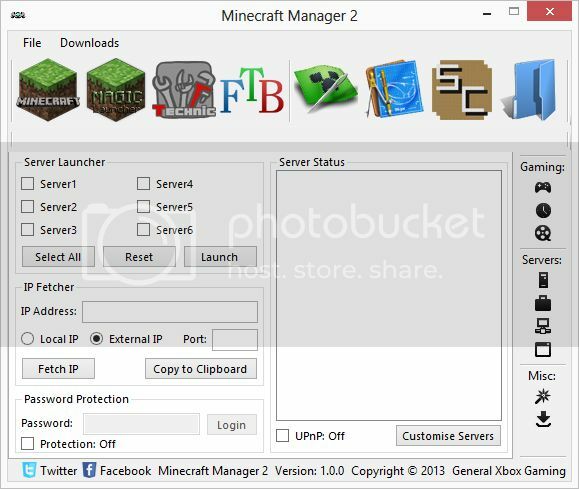 This will automatically become the default version and will replace the Beta version using the update system already in place. 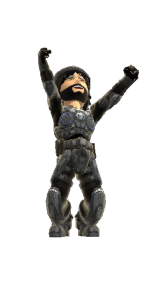 All settings from the Beta version including Server Description's, Directory & Password will not be affected by this update. Info: The vanilla Minecraft Crafting Table has been added to the Wiki menu. It feature categorised crafting recipes. 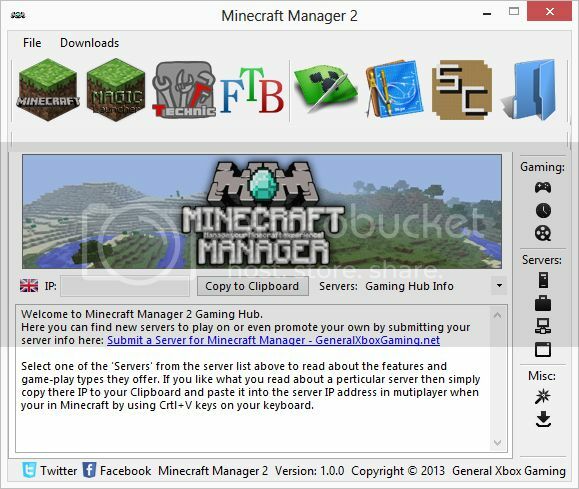 All the recipes that can be found on the Minecraft Wiki page are now available in Minecraft Manager 2. 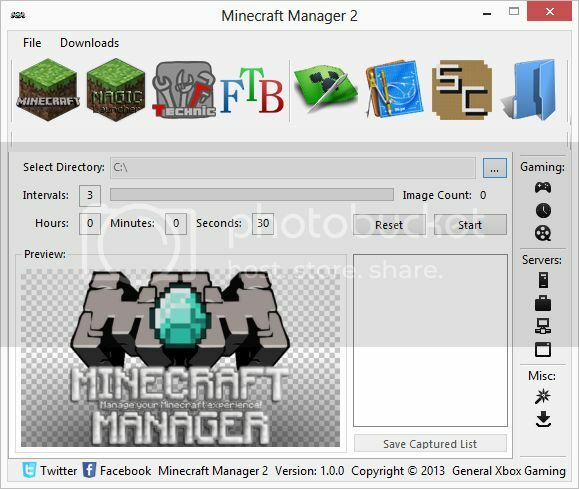 This has added approximately 1MB to the overall size of this application mainly because of all the extra images that have been added. 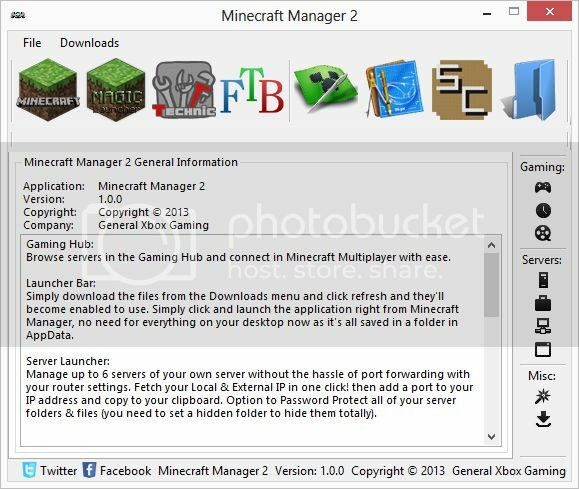 Note: Nether Brick Slabs & Fences are not currently in this update due to the images not being available from the wiki page. Looks nice. Might give this a go somewhen.